Does this sound familiar? You get engaged. Call all your family and friends. Post on social media. Then think, “Now what? 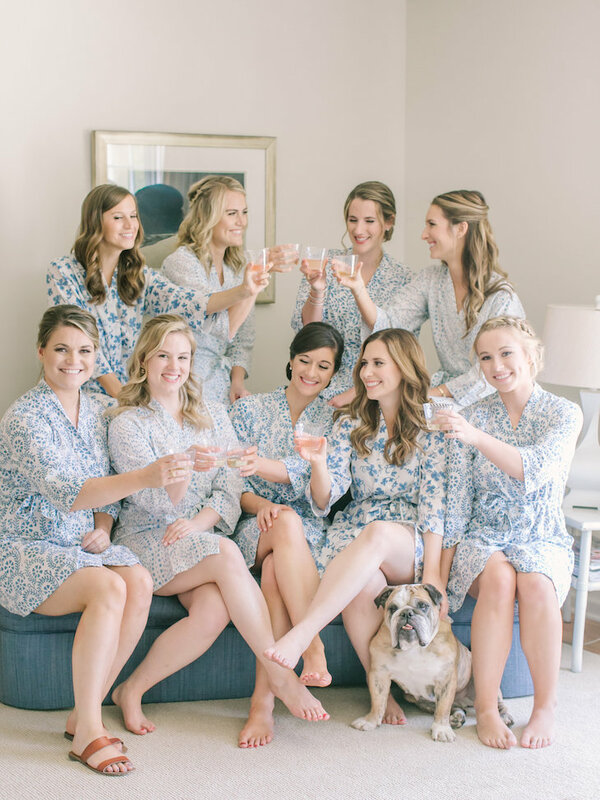 I guess I better get started planning.” Every engaged person I talk to immediately feels the pressure to start the wedding planning process right away. I agree that it is exciting and you may even feel like everything will be “gone” if you don’t start touring venues the next morning. My advice though is take a breath. Give yourself some time to enjoy this moment in your life. After you have basked in the glow for whatever amount of time feels comfortable for you, then you can let the fun to begin! First step of course is securing your date and venue. Then you will need to let your guests know about this shindig. So let’s start thinking about Save the Dates and tips for sending wedding Save the Dates. 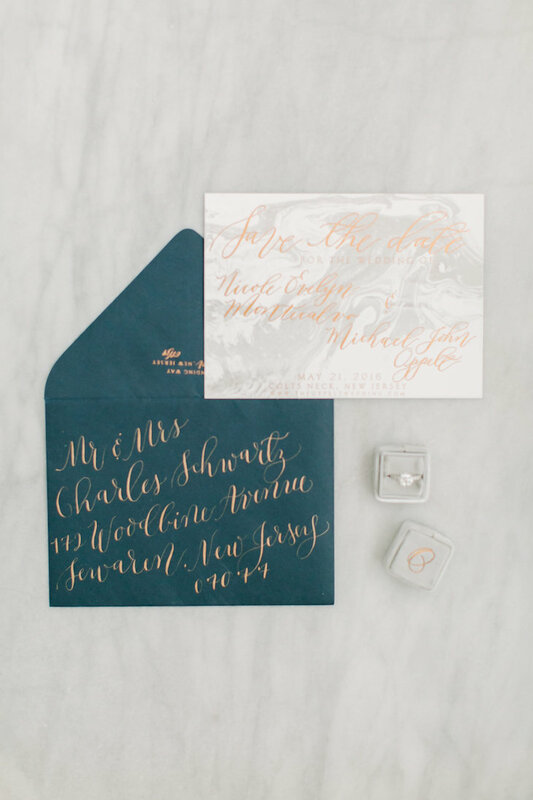 The general rule of thumb is that Save the Dates should be distributed 6-8 months prior to your wedding date. For me, it is a personal preference on whether you want to send on the earlier or later side. 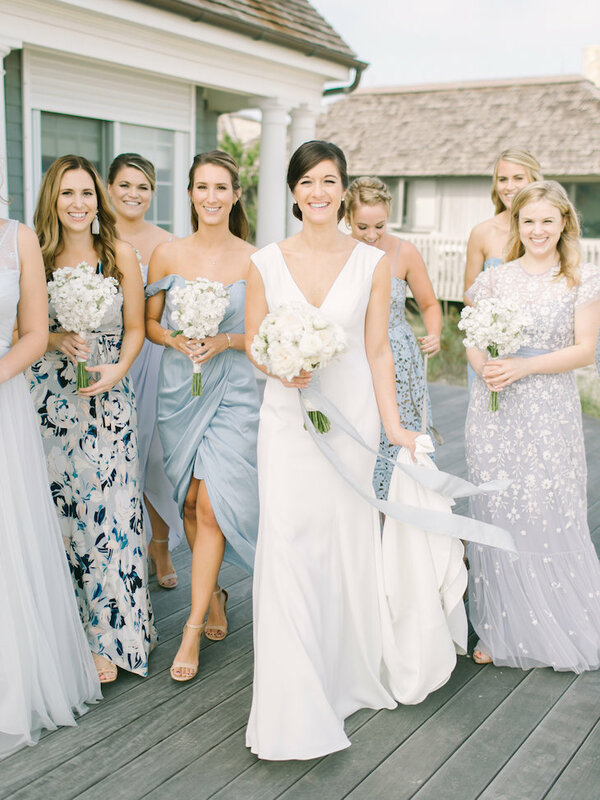 Some factors that might help you make the decision are if you are having a destination wedding (send earlier) or if you are hoping to cut back your guest list (send later). If you send within that time frame you are good to go. Save the Dates are pretty straightforward. However they do set the stage for the type of wedding you are going to host. Is it formal? Will it be at a camp? On a boat? In Mexico? 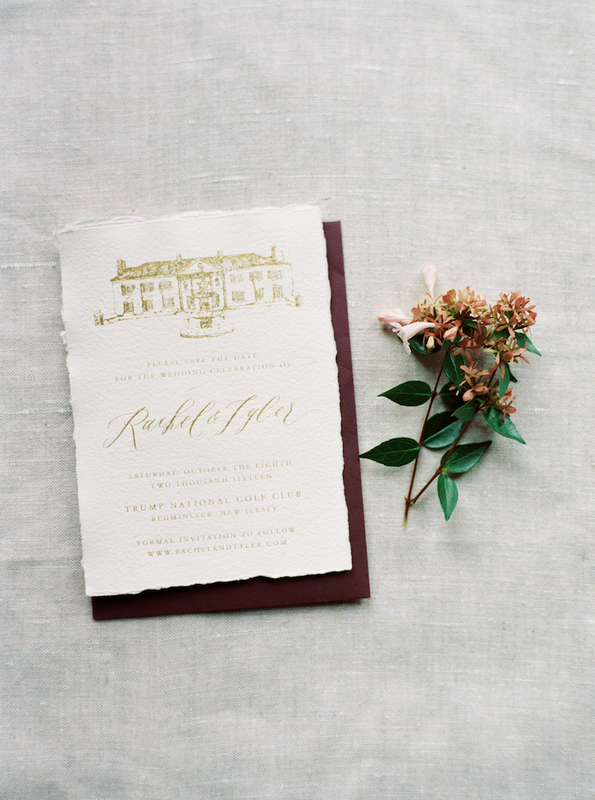 When your guests receive the card, you want to portray the style of wedding you hope to have. Keep that in mind and infuse your personality and get creative. Many couples opt to use their engagement photos for the Save the Dates. This is a great way to showcase those photos and make your announcement personal. I know for a fact that your family and friends love to see your smiling and in-love faces. 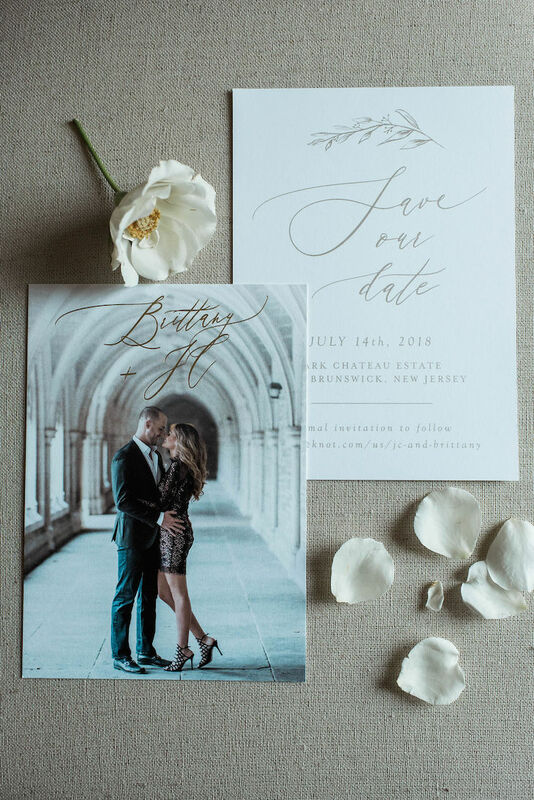 Whatever you decide, I recommend keeping the whole scope of the invitation suite in mind and have an idea of your design before choosing your Save the Dates. The first step before choosing your venue and sending out Save the Dates is to get a good estimate for your head count. Your venue will need to know your estimated guest count. Plus you need to know the venue’s capacity and any limitations while venue searching. You should have a very good idea of who will be invited by the time you send out your Save the Dates. To answer the question presented, anyone you’re sure you’re going to invite to the wedding. If your guest list is not entirely finalized, refrain from sending save-the-date cards to guests on your B-list. Once someone receives a save the date, you’re obligated to send them a wedding invitation, too. There are some guidelines on when to include a “plus one” on Save the Dates. You have feel you have the flexibility on your budget if EVERYONE decides to come. I recommend trying to name the guest whenever possible. This makes the invite more personal and doesn’t leave the invitee up to interpretation. The content on your Save the Date is pretty basic. Just the essentials. These details are reserved for your invitation. On your Save the Date, remember to include your names, wedding location, date, and website (if desired). 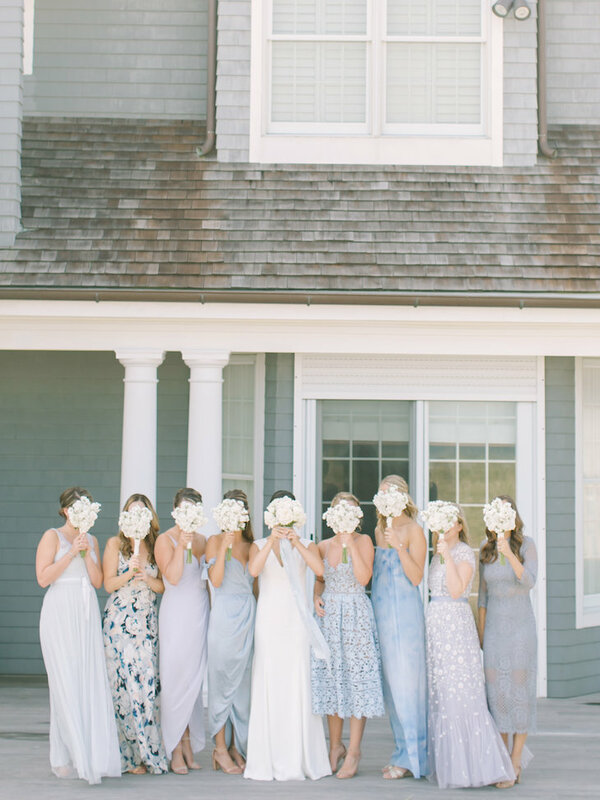 The line “formal invitation to follow” is customary, so your guests know that more information will be coming. 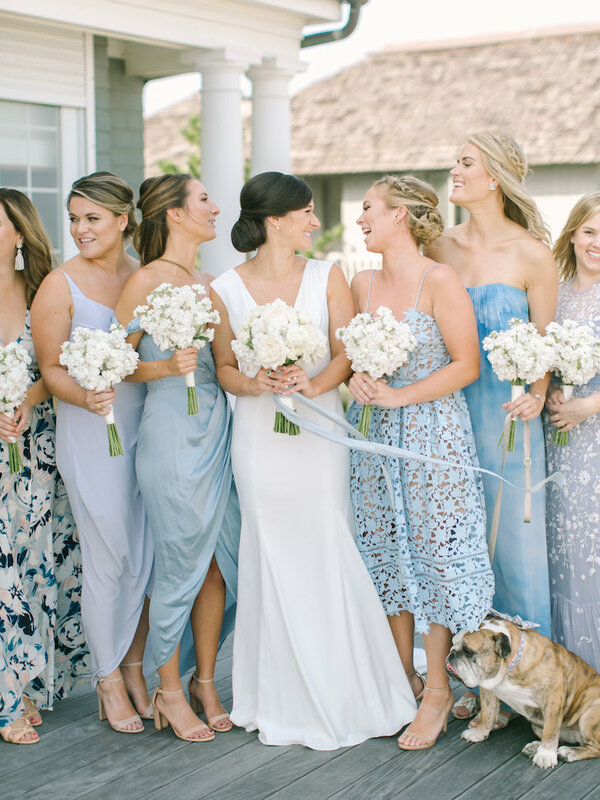 With the inception of welcome receptions, after parties, post-wedding brunch, room blocks, and transportation timelines, that is A LOT of information to get out to your guests. Make life easier and include it all in one place. The less people contacting you for every little detail, the better. I highly recommend including a wedding website. Some of my favorites are intuitive and pretty easily customizable. Try Minted, Zola, or Squarespace. My advice is to splurge on a custom url that is easy to remember and looks cleaner on your Save the Dates. Looking for assistance for wording for your Save the Date? 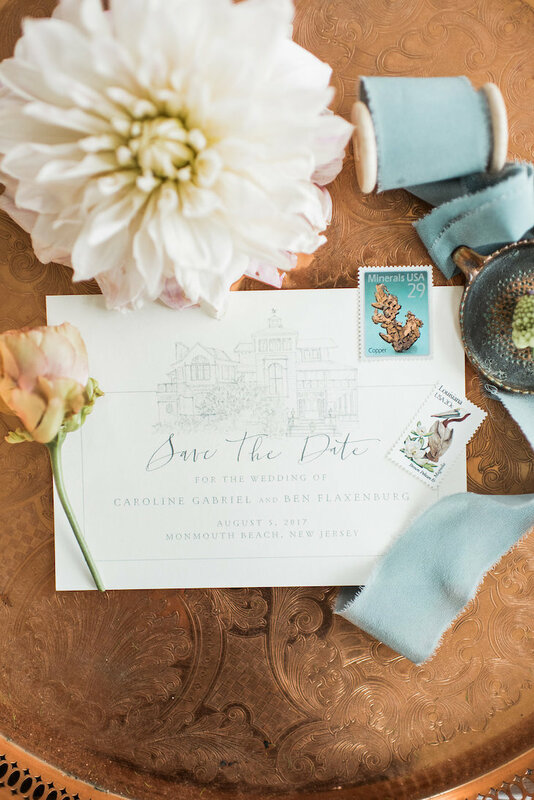 Take a look at some suggestions on Minted here or even at past Save the Dates you have received. I bet you may have more than one in your kitchen at any given time. 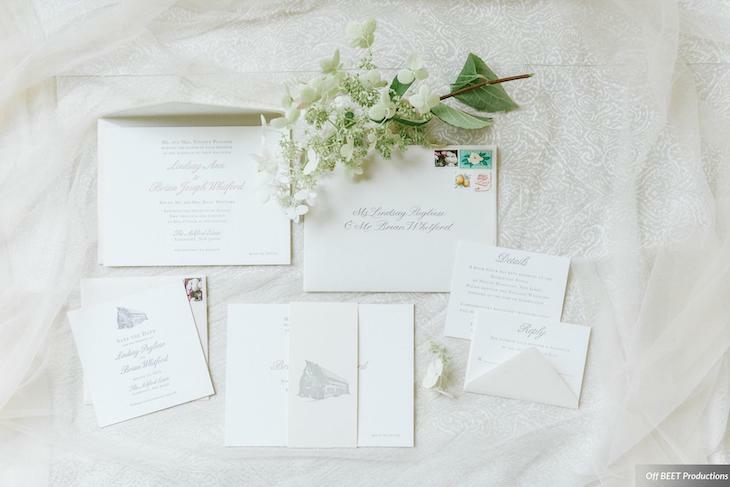 Check back some tips on sending out wedding invitations and please reach out if you have any questions- I am here to help!